Hot cheese. Five loads of cheese brought up the rear of the 79-like train to Sheboygan. Crew was instructed to bring these loads to the warehouse in Cedar Grove, but because Butler Yard was full (and because the crew would have run out of time), additional Butler-bound freight was left at Sheboygan. 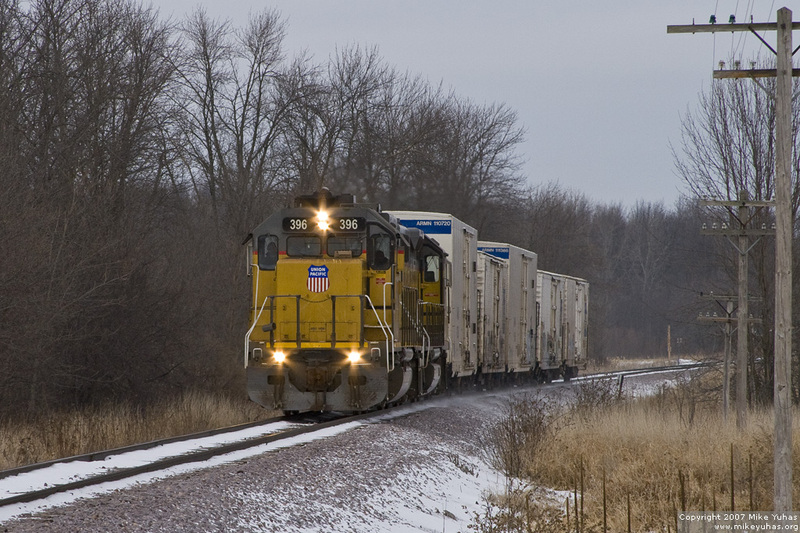 The resulting train -- seen here shortly after leaving Sheboygan -- looks like an important perishables move.